Don’t you aim for stability in any venture you undertake in life? Nobody likes sailing in the stormy seas. Haven’t we all heard the phrase “More The Haste Lesser The Speed “.Haste in any venture achieves nothing but losses doesn’t it? In life if you want steady gains then Employee Provident Fund is what we need to look at. They Must Hunger In Winter Those Who Do Not Work In Summer. Here Employee Provident Fund is like a forced kind of saving. Here it provides us a saving for that rainy day. Don’t you feel very happy when you get a sudden windfall or an unexpected sum of money?. Employee Provident Fund provides us that kind of return; I would like to remind all of you that the team of financial planners at IndianMoney.com are always there for you to plan your financial needs in an efficient manner. 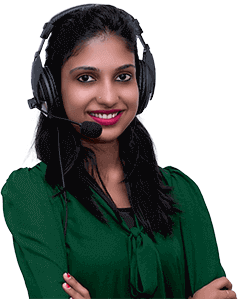 You can explore this unique Free Advisory Service just by giving a missed call at 02261816111. So What Is The Employee Provident Fund? This fund was created with the purpose of providing financial security to the salaried class of employee’s and stability during their retirement years. Its purpose is to help employees save a fraction of their salary which will aid them when they are no longer fit to work or when they reach their retirement age. The investments made by the employees are pooled together and invested in a trust. Here an organization with over 20 employees working in any of the stated industries as per governmental regulations should register with Employee Provident Fund Organization. Typically 12% of Basic, Dearness Allowance, and Cash value of food allowance has to be contributed to the Employee Provident Fund. So How Is The Employee Provident Fund Value Calculated ? EPF Employee Share: 3500 * 12% = INR 420. EPF Employer Share: 3500 * 3.67% = INR 128. Employee Deposit Linked Insurance Employer Contribution = 3500 * 0.5 %= INR 18. EPF Administration Charges Employer Contribution = 3500 * 1.1 % = INR 39. Employee Deposit Linked Insurance Employer Contribution = 6500 * 0.5 % = INR 33. EPF Administration Charges Employer Contribution = 6500 * 1.1 % = INR 72. Employee Deposit Linked Insurance Scheme Administrative Charges Employer Contribution = 6500 * 0.01%=INR 0.65. Although the national website does not have such a link EPF offices in Karnataka have such a website. You have to provide your establishment code and your PF account number and your information gets displayed to you. You will have to visit http://www.epfindia.com/ and check whether your area office provides such a service to you. A new service has been launched for you to check your balance directly http://www.epfindia.com/MembBal.html. You can withdraw 90% of the amount in your EPF account after you attain the age of 54or within one year before actual retirement on superannuation whichever is later. On shifting of jobs the EPF balance can be shifted from one employer to another. The existing balance can continue to stay with fresh contributions made by the new employer. 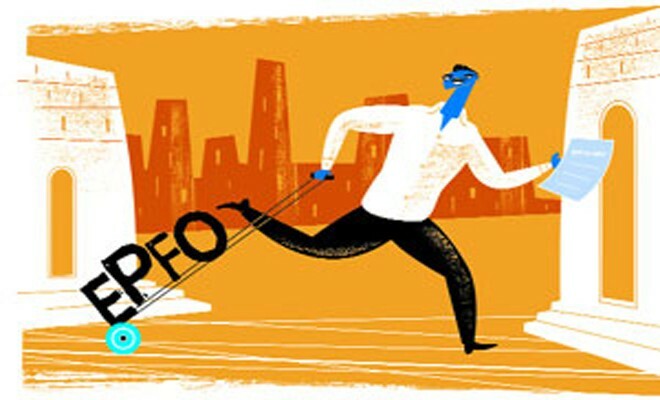 EPF could be withdrawn if you quit your job and provide a declaration that you do not intend to work for the next six months. You can withdraw full amount in the fund on retirement from service after 55 years of age. You can also withdraw the full amount if you have not attained the age of 55 years at the time of service, if you have retired on account of permanent and total bodily and mental disability. If you have migrated from India to settle permanently abroad or you are employed abroad .In the case of mass or individual retrenchment. If you have applied for EPF withdrawal and want to check the status of your claims application you can visit http://59.177.81.198/homepage_claim_status_new.php and fill up the form with the details of your EPF office and the employee PF Account Number. Here we have the Employee Provident Fund rates at 8.5% in the year 2010-2011.These rates were raised to 9.5% in the year 2011-2012.There was a drastic cut in Employee Provident Fund rates to 8.25%in the year 2012-2013.There has been an increase in Employee Provident Fund rates to 8.6% in the year 2013-2014. There is a nomination facility available for the Employee Provident Fund. The nominee will be contacted at the time of death and the Employee Provident Fund money paid out to him. If you want to change or update a nomination you have to use a form called form 2. Here there are two components in the Employee Provident Fund. We have the Employee Provident Fund and the other is the Employee Pension Scheme which is a part of the pension scheme, The 12% contribution from the Employees side goes to The Employee Provident Fund and out of the Employers contribution 8,33% goes towards the pension scheme and only the remaining 3.67% goes towards the Employer Provident Fund Scheme. One is liable for pension only if he or she has completed 58 years of age .One is liable for pension only if one has completed 10 years of service. In case of more than one company the Employee Provident Fund should have been transferred and not withdrawn. The compound interest is provided only for the Employee Provident Fund. The EPS part does not get interest. Let us assume that you have worked in a company for 5 years. Here after 5 years you opt for a withdrawal which is actually a combination of Employee Provident Fund and Employee Pension Scheme, Here you will get 100% of your EPF part, Here we have a table shown below and there is a slab for each year you work in the organization. Here for each of the completed years you get ‘n’ times your last drawn salary subjected to a ceiling of INR 6500.So even if you draw INR 20000 you will only get INR 6500 multiplied by the corresponding number of years you have worked for the company as shown in the table below. Here if you have worked for 5 years your EPS will be 6500*5.28 which is INR 34320. After 9 years from the 10th year onwards you are liable for full pension. Here you can invest more than the stipulated amount in EPF. Here the excess amount will be invested in EPF and you will get an interest component on it. This is called the Voluntary Provident Fund. Here we have the following occasions when partial withdrawal of the EPF amounts are allowed. Marriage or Education Of Self, Children and Siblings. Medical Treatment Of Children and Self and repayment of a housing loan. Construction or purchase of a house or a flat. Here I would like to end this article with the saying “Every Man Is The Architect Of His Own Fortunes”. Here EPF is just a tool. How we use it is in our own hands, So make a wise decision now .Use This tool wisely to enrich yourself. For further information on the Employee Provident Fund you can look up the website IndianMoney.com.